To get started with digital waivers you must first set up your digital waiver management station. This should be done on an existing Rock Gym Pro workstation, preferably the one you’ll use to create your waiver document. The RGP digital wavier module ONLY works with RGP digital Documents. It does NOT support Smartwaiver waivers/documents. To get started, you need to enter your waiver station settings. In the Data Entry main window click Manage and select Settings. Enter in your Plan Activation Key (if needed) and click the Check button. Enter in your Online Group Key. 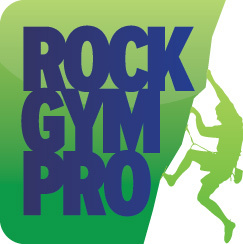 Click Close to exit Settings, and then restart Rock Gym Pro to ensure the changes have taken effect. Next you'll need to create a placeholder document type to give you something to start with until you create your actual waiver. In the Data Entry main window click Manage and select Document Management. Enter a title for this document such as “Waiver” as well as the number of pages you expect your waiver to be. Click OK to save, and Close to exit the Document Management Configuration window. Now you can create your default waiver. In the Data Entry main window click Manage and select Waiver Station to open the Waiver Management window. Click the Add button and select Waiver- Starter Template. This will use the standard Rock Gym Pro waiver you can then modify. When this form is completed it will check Waiver in the customer profile when accepted. In Step 1: Form Properties assign the document type you created above in step 5-8 (“Waiver”). Do not customize the form or waiver yet. Click OK to save and Close to exit the Waiver Management window. Click the Launch Waiver Station button. Click Yes to confirm your information. Follow the instructions for signing and complete the document. You can now exit the Waiver Station by clicking the X in the top right corner. The waiver will be processed in the background; it should take about 10 seconds. Go back to the Data Entry main window and click the Find Documents button in the lower right corner. Your waiver should now appear and be ready to assign to a customer. Once the waiver is working you can then go back and customize it with your content.